For some reason when I’m shopping, I typically spend more time (and money!) 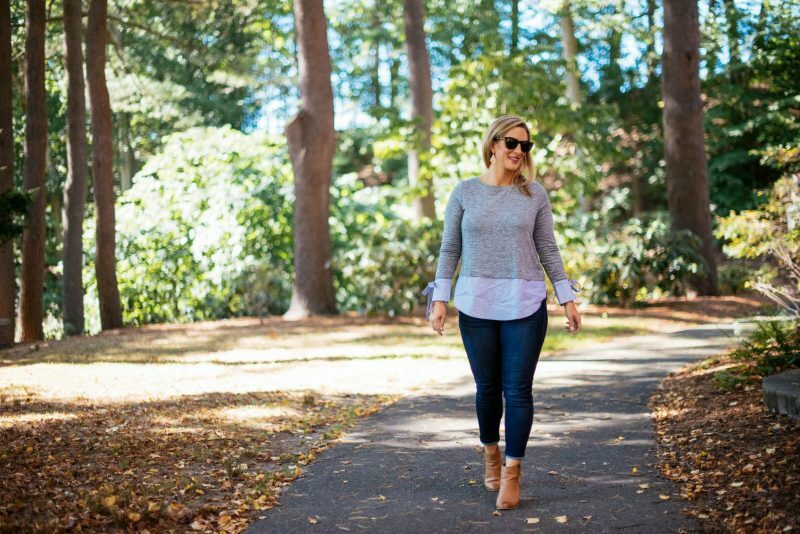 on tops or dresses that I can wear going out or for events rather than the easy, comfy pieces for nights at home or running errands. It’s pretty funny because besides work I probably actually spend more time in those easy everyday pieces (at least on the weekends)! 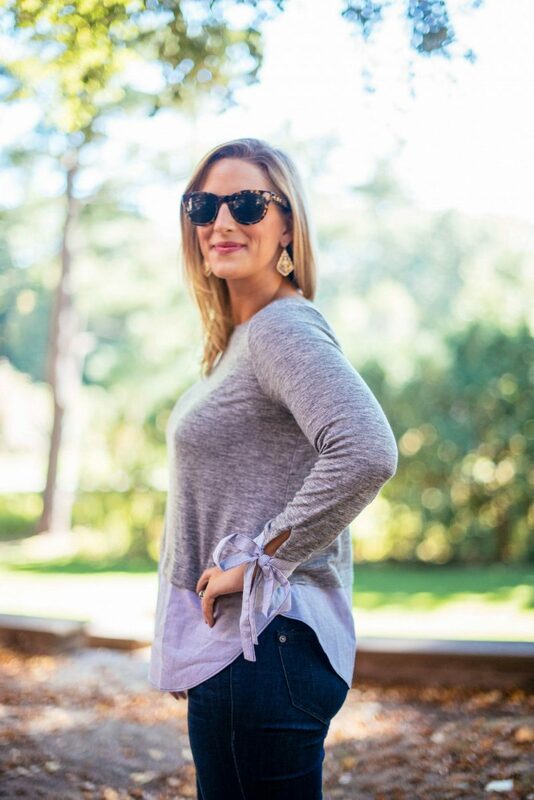 When I was doing some fall shopping a few weekends ago, I made a point to pick up some pieces that could easily be worn hanging at home making dinner or running errands around town. Loft is definitely my favorite place to shop for these type of tops. They always have cute casual tops with fun details- like this two-in-one top. I am absolutely in love with the bow cuffs on it. I’ve linked some other good options from Loft below too! How about you- do you spend more time and money on night out clothes or your everyday basics? 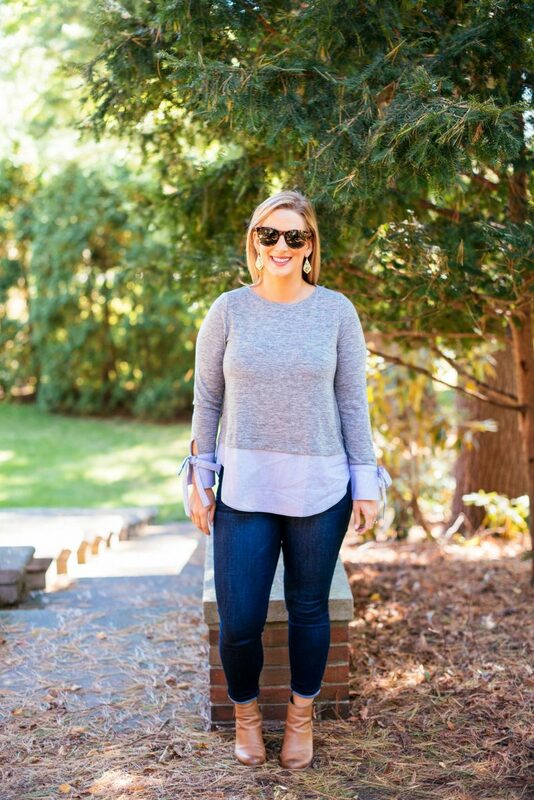 I love your casual yet chic look! 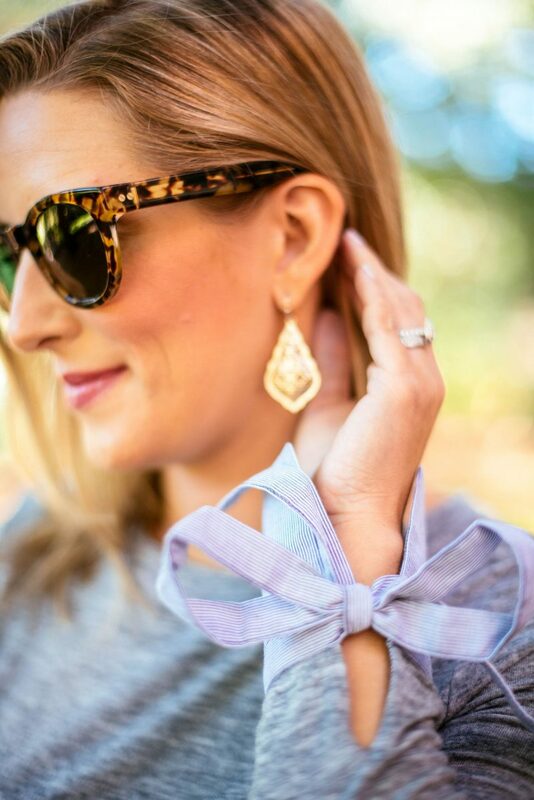 The bow details are darling! Lately Ive been spending more on basics that can be mixed with what I already have for work and play! Thanks so much Linda! I’ve been trying to do the same! Basics are definitely where it’s at for investing!